My daughter has always had an extremely energetic and lively spirit. 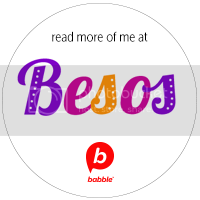 She can be the loudest and most attention-grabber in the room, but only once she´s comfortable with her environment and, especially, if the environment is mostly Spanish-speaking. 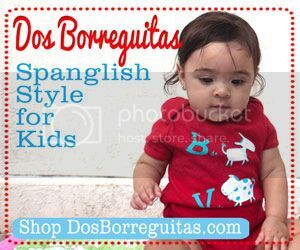 I have to admit that I´ve been a tad worried that our efforts to immerse her in Spanish all the time aren´t allowing her to fully be herself when she´s with a group of kids that only speak English. Because of that, five months ago we enrolled her part-time in an all-English Montessori pre-school which did wonders to her self-confidence and individuality, but she was still shy around groups and new situations. She would never respond to strangers who love to compliment her on her blonde, curly hair or even tell anyone her name. She was scared of fireworks, anyone in a costume (especially characters) and anything unexpected. It took two trips to theme parks in Orlando for her to finally come out of her shell and let her bilingual spirit be. We were blessed to be invited to join the Hanes Comfort Crew on their annual family trip to Disney World. Three weeks later, we went back to Orlando on a very special invitation from Universal Orlando Resorts. On both trips we were surrounded by bloggers and their families. There were kids of all ages and activities to keep us entertained all day. My husband joined us for the trip to Universal Orlando Resorts last week and witnessed how Camila bloomed into a lively, friendly, uninhibited little girl right before our eyes. 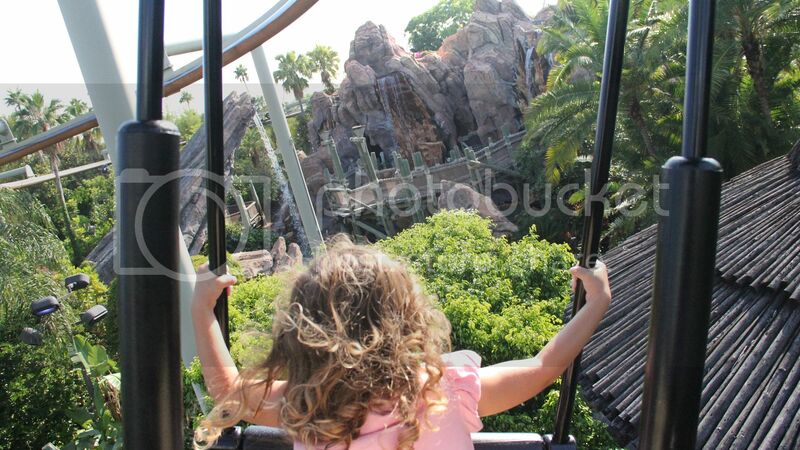 We discovered that she loves roller coasters as she rode the Flight of the Hippogriff and Woody Woodpecker´s Nuthouse five times each (and wanted more!). 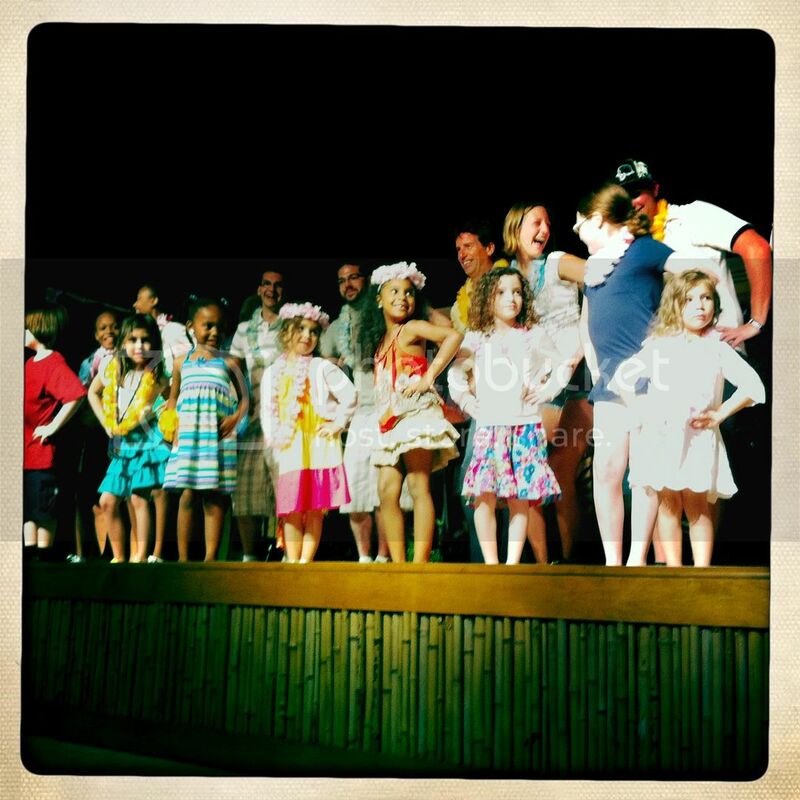 During a luau at the Loews Royal Pacific Resort, we witnessed a budding little star as she went onstage with the other kids to learn how to hula dance (she´s the last one on the right with the white dress and super concentrated on learning the moves!). We froze in expectation when the presenter asked her her name and exhaled when she answered not only her name, but also her age. 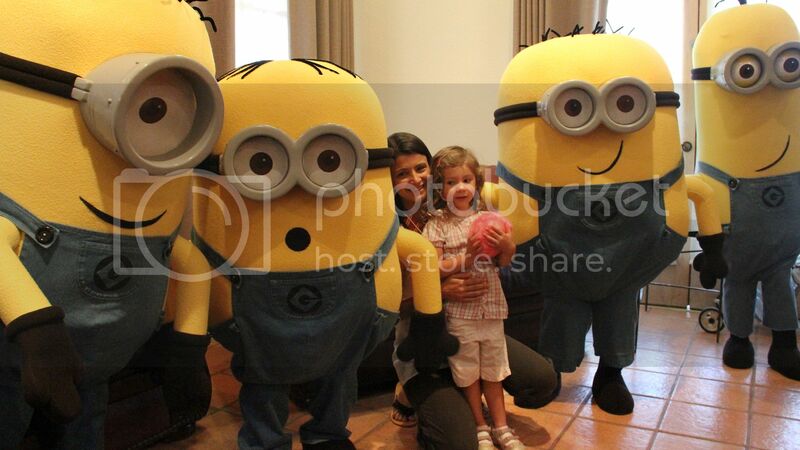 She´s still not into characters too much, but we did get her to pose close to some Minions, the stars at Universal Studios Orlando´s newly announced 2012 ride based on the movie Despicable Me. We spent an afternoon at the awesome pools in the Hard Rock Hotel in Orlando and she went wild with the slide. Unheard of before now. 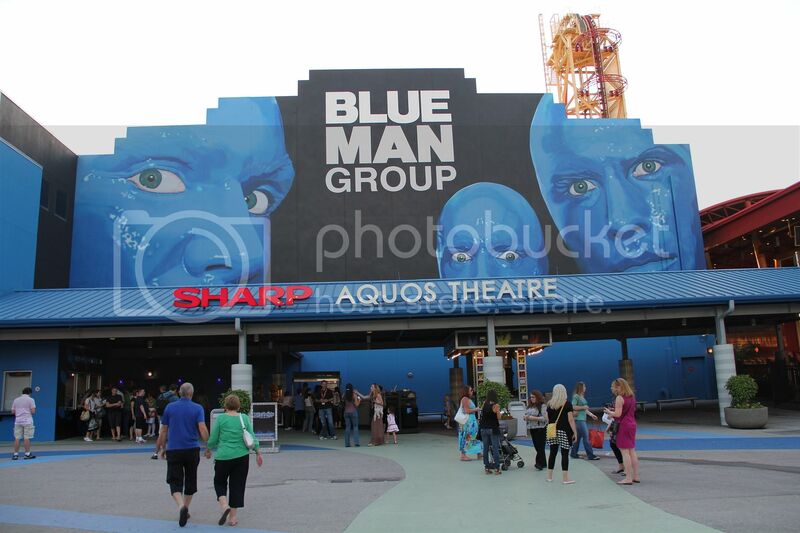 After a failed attempt at a date night, we decided to bring Camila with us to the Blue Man Group show in Universal Orlando´s Citywalk. We figured if it got too crazy for her we would just leave. No need! She enjoyed every second of it and even participated in audience interactions listening and following instructions. She made many new friends and would initiate conversations with older girls herself–in English and español. 1) Being immersed in constant new situations allows children to explore freely without the expectations they have already set for themselves. 2) Visiting theme parks puts children in a space they can embrace as their own. It is made for them. They know it, they see it and they live it on their terms. 3) Theme parks and travel offer so many learning and cultural experiences. From seeing storybooks come to life (Curious George Goes to Town, Dr Seuss, Harry Potter, etc), to getting up close with animals (Animal Actors on Location), to seeing how a dinosaur egg is hatched (Jurassic Park Discovery Center), and exploring mythology (Poseidon’s Fury) you will constantly have conversation pieces to make your child´s head explode with newfound knowledge and experiences. Have your children been to any theme parks? Would you like to plan a trip to Universal Orlando Resort? Stay tuned because this week we are launching a giveaway where two winners will grab a package with tickets for a family of four to visit Universal Orlando before June 12, 2012. Disclosure: My family and I were lucky enough to receive an invitation to experience Universal Orlando Resort and Loews Portofino Bay Resort as their guest. 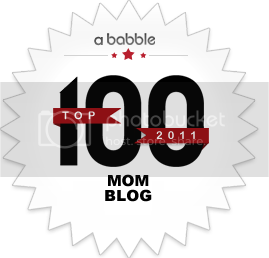 No monetary compensation was received for this blog post. 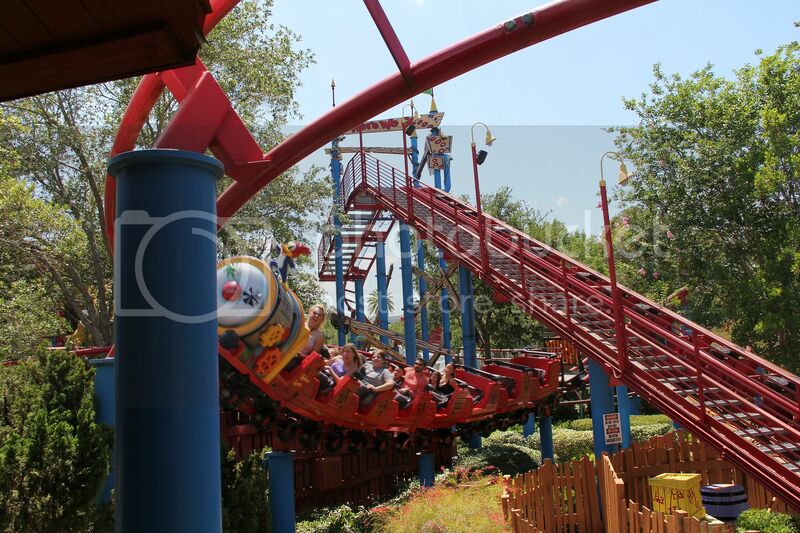 Universal Orlando Resort Family Giveaway! WOW! I’m impressed! It’s so cool to watch the kids react different and grow before your eyes. Que chévere amiga, I want to see her again and Adrian together soon before we go!! Girl, what an amazing perspective! It was so much fun to meet you my dear. You are completely delightful! Laurie´s last post ..Homemade Projects Add Yours! Thanks, Laurie! The angle is totally honest. This was definitely our biggest takeaway from this fabulous trip. That, and getting to meet you and the other UORfamily! My daughter sounds a lot like yours and we experienced the same thing on a recent trip to Disneyland. It was an amazing, life-altering experience all around. So much learning, so much growing, so much FUN! I’m glad you could identify with this. Someone just wrote a comment on our FB wall that they feel theme parks empower kids to make their own choices and feel it’s about them. I had honestly never viewed theme parks that way, until now. Of course she adores Disneyland and Disney World, but I was so surprised how much real fun she had in Universal, even with no Princesses in sight! We discovered the wild, edgy side in her. Ay, está creciendo mi Camila! I’m so happy to hear she’s feeling a lot more confident and that her personality is blooming! 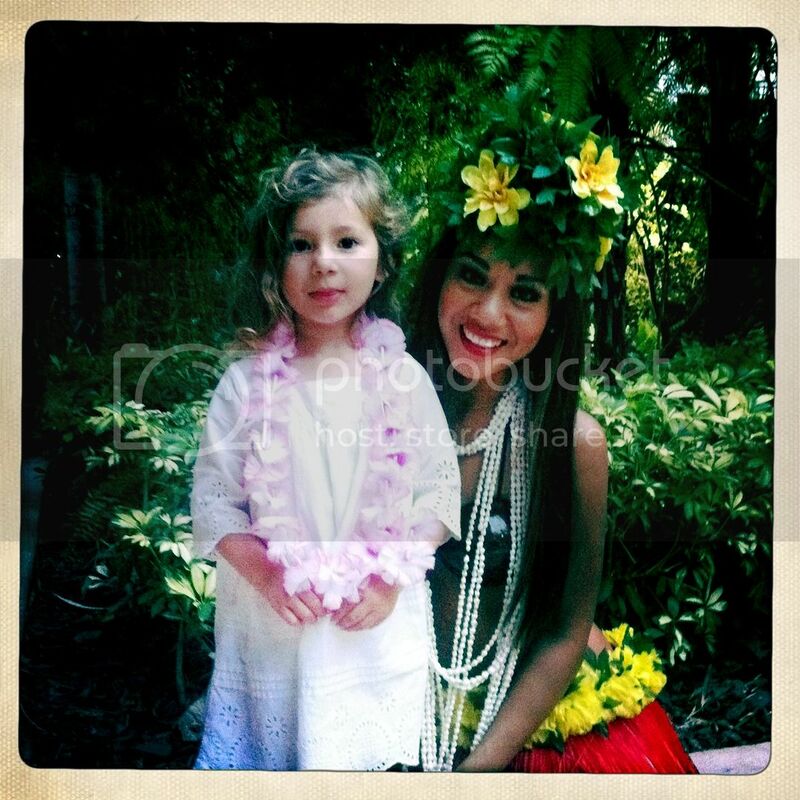 It’s only the beginning… The pictures are beautiful and it just looks like you guys had so much fun! We had a blast and missed you terribly! I think she felt weird at first that Vanessa wasn´t there! Que belleza!!! There is absolutely no doubt how wonderfully opening stepping out of our comfort zones can be. Every time you open a door their is a whole magical new world awaiting. Specially in a place like Universal where they take an idea and bring it to life in a fantasy of color, light and sound. Yes, that´s exactly right! Kids step out of their comfort zones in these places and that helps them mature in many ways. Wow – this is so exciting. You should be so proud, mama. You’ve done well and she’s obviously blossoming in part due to you and your husband’s excellent parenting. Love the list of how a theme park can broaden a child’s world. I never thought about any of that but it’s very true! 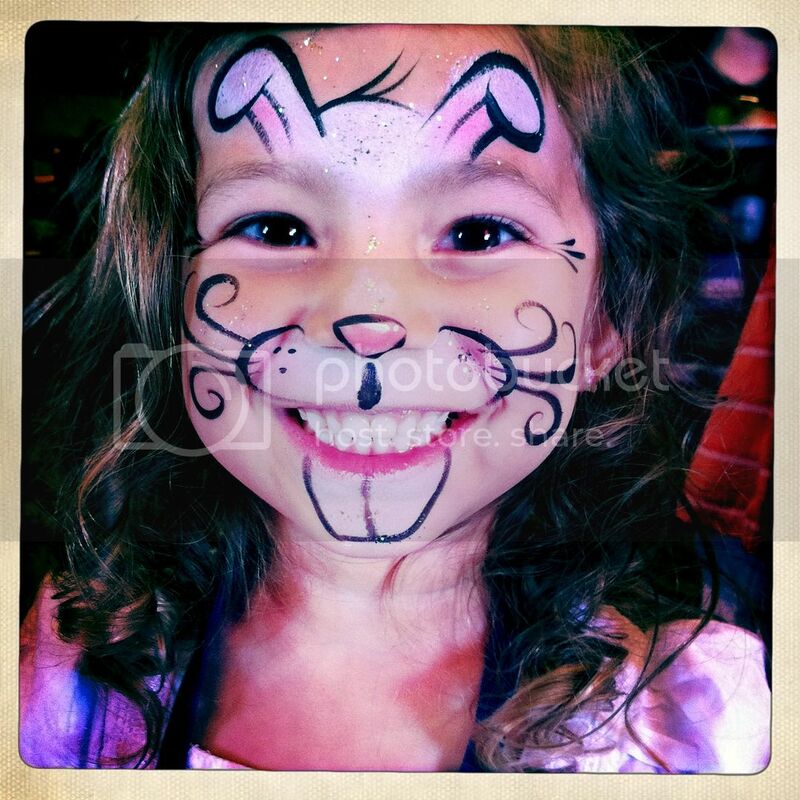 Tracy´s last post ..Come chat with me Surropa!